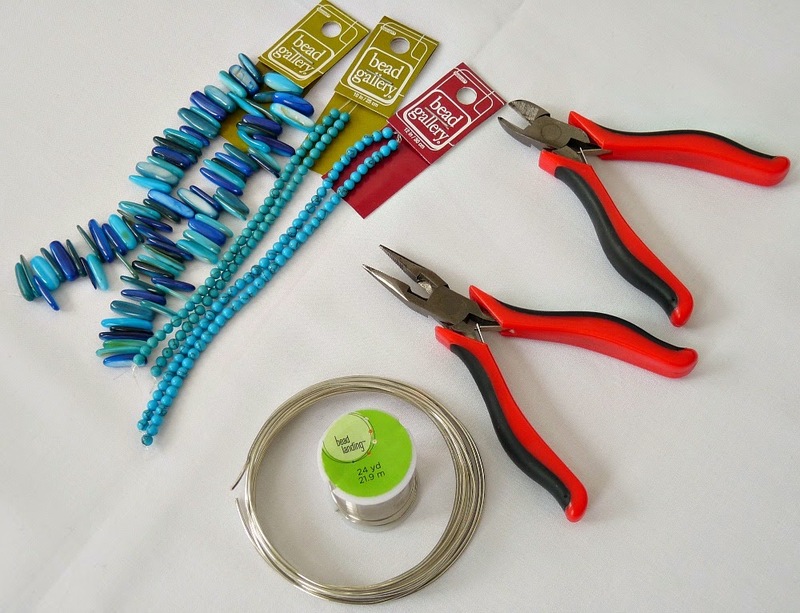 There are so many things to love about this DIY beaded napkin ring tutorial: these beaded napkin rings easy to make, conducive to messy crafting (meaning they don’t need to be perfect to look good), and potentially very thrifty (you can snag beads on clearance or cut apart old jewelry and scavenge the beads). 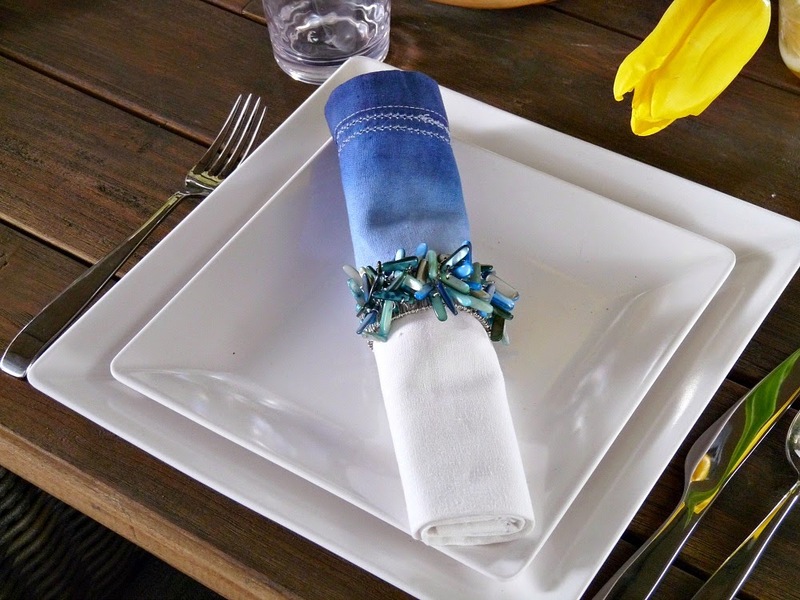 Plus this DIY napkin ring works as a cute DIY cuff bracelet, according to the very stylish Vanessa – who suggested that this handmade napkin ring could be a fun take home favor for a casual dinner party or brunch with girlfriends. **A note about the beads: mine were drilled through the end, while most beads are drilled end to end. You can use any style or kind or bead you like, but to create the sea anemone feel, the end drilled beads stand up nicely. Check your local craft stores, but if you’re striking out, I did find some similar looking end drilled coconut shell sticks online, in aqua and blue, that would look really beachy. These shell beads are also similar, but in a much more natural colour palette. 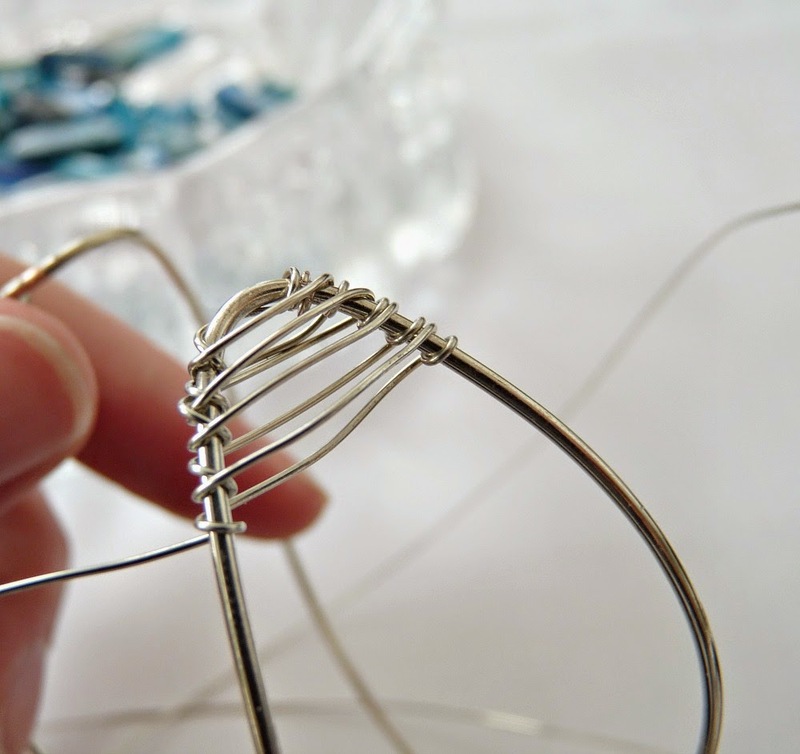 To begin, cut about 14-16 inches of the 16 gauge wire and gently form a circle, wrapping the wire back on itself to secure the shape. 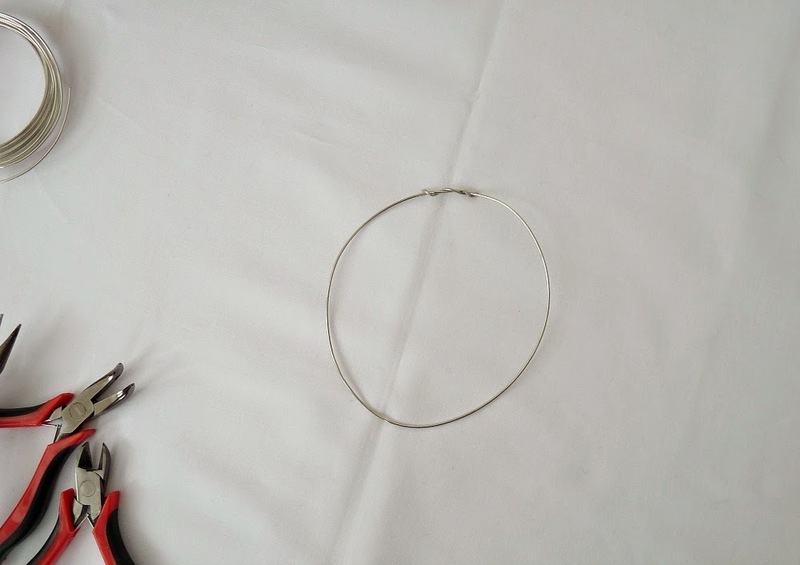 Take the circle you’ve created and flatten in a bit, so you’ve got a really elongated oval. Flatten the twisted ends a bit with your pliers, because you don’t want them sticking up and poking your linens (or wrist). This is where two pairs of pliers come in handy. 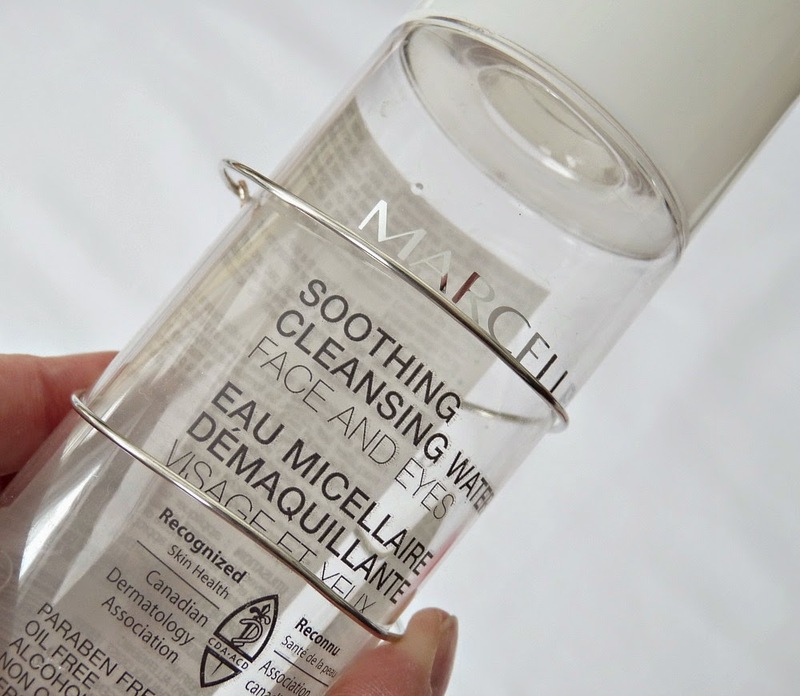 Gently wrap the oval around a bottle to form a cuff shape. You can re-shape it later, so it doesn’t need to be perfect. Make as many of these forms as you need and set aside. 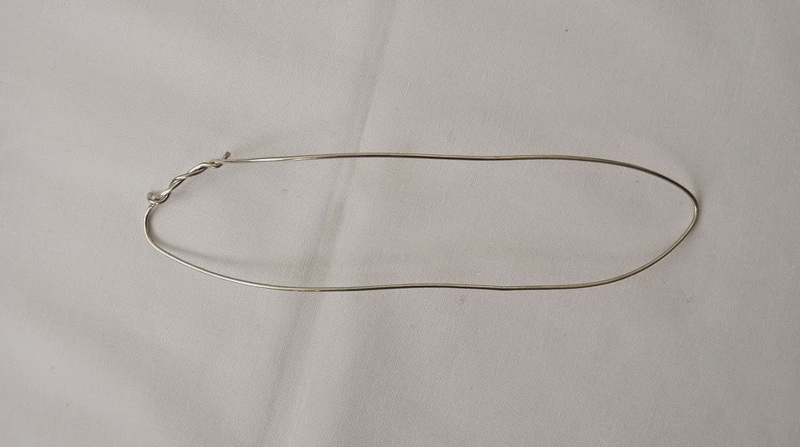 To start wrapping, anchor the 24 gauge wire by wrapping it around one side of the cuff shape a few times. Flatten any pokey ends with the pliers. 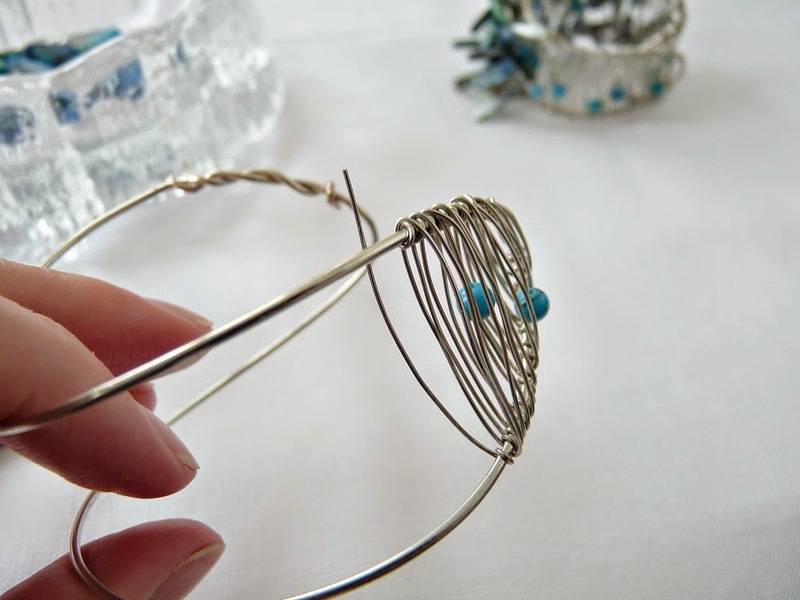 Wrap the 24 gauge wire once around one side of the 16 gauge wire cuff, then bring it across to the other side, wrap around the other side – back and forth. Because I was on a budget and happened to fall in love with the most expensive beads ever, I didn’t wrap the beads all the way around. 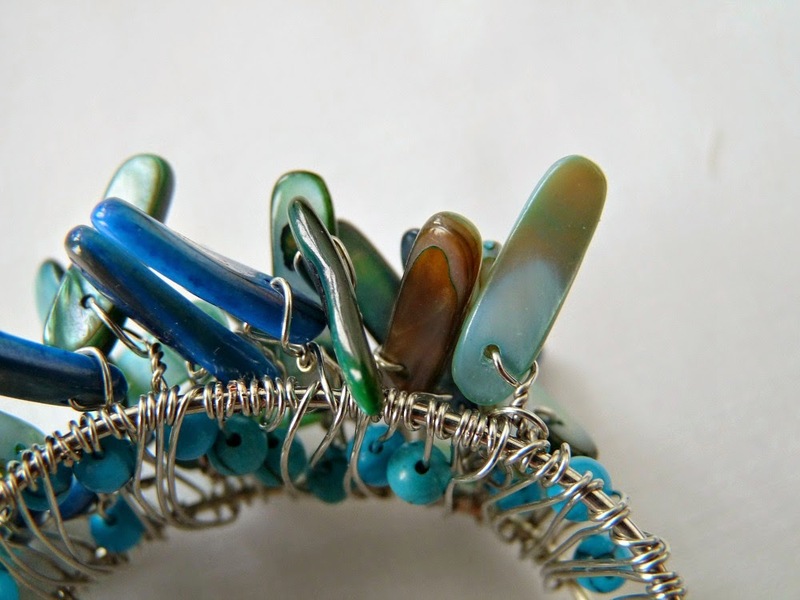 The bottom and sides are wire with a few turquoise beads here and there, while the dyed shell beads are really lush and full on the top. You can arrange the beads however you please and can start adding the beads anytime in this process. Because I used beads with a hole drilled at one end of the long shape, I decided to “lift” the beads up a little and give them life so that the finished product has an organic feel – like some sort of sea anemone. To achieve this look, in the midst of wrapping the wire back and forth across the cuff, I grabbed a bead, twisted the wire, and kept wrapping. Every now and then I stopped to adjust the beads, twisting them a bit and nudging them into facing random directions. 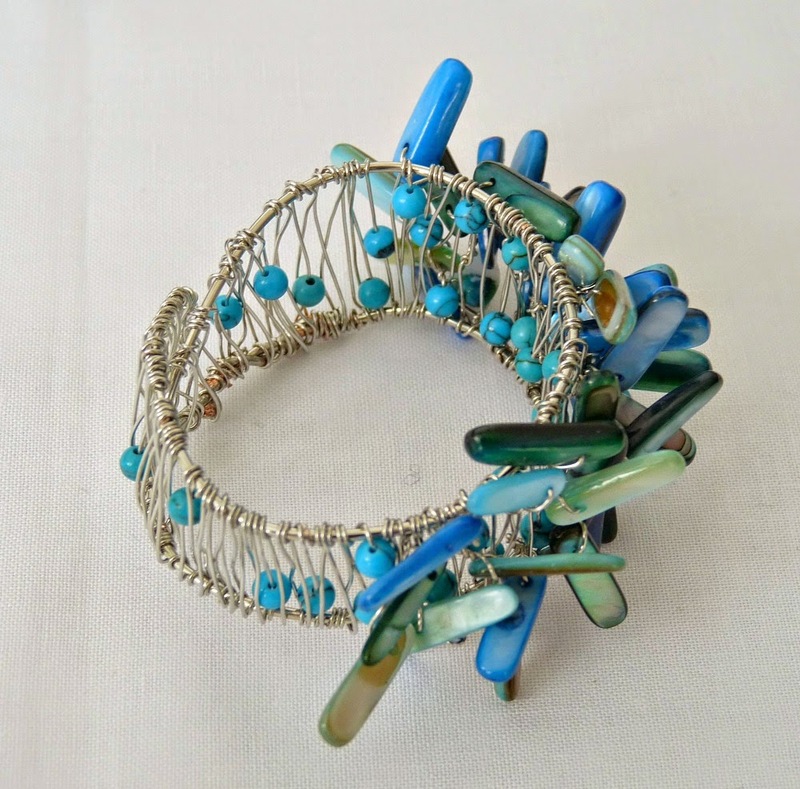 This was my first time doing wire work like this, and my wraps aren’t perfect but because I wanted a napkin ring that felt relaxed and organic, I am going to vehemently argue that the imperfections add to the casual, beachy look. This was a great craft project to do while my brain was otherwise engaged – perfect for in front of the television. Actually, I was dyeing a pair of jeans darker while I made one of these. I had to stay by the washing machine to keep setting the cycle back to ensure the jeans were agitated in the dye bath for a full half hour. I set my supplies on the washer and whipped one of these up standing in the laundry room. (Multi-tasking for the win.) 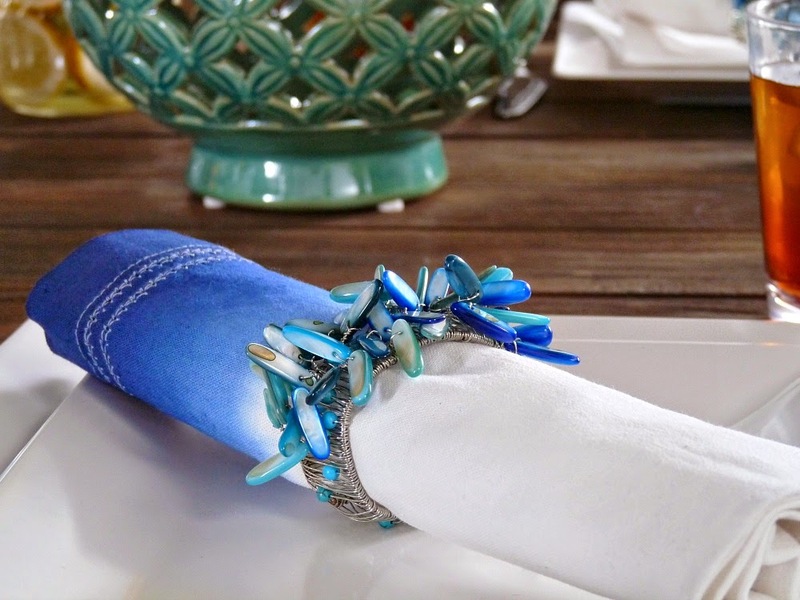 I love how this beachy DIY beaded napkin ring project turned out! They catch the light beautifully and add the perfect seaside feel to a summery tablescape. 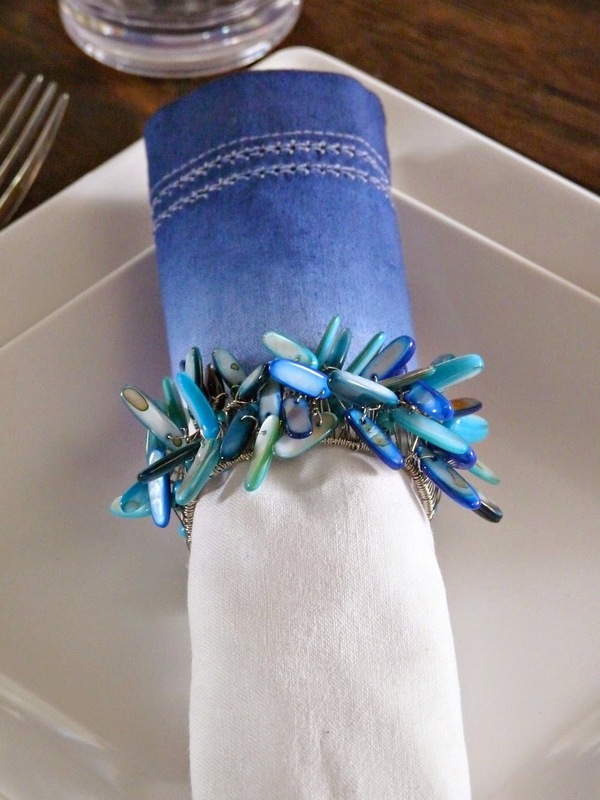 Here’s another look at the napkin rings paired with the dip dyed napkins I made. I loved the beads because they tied together the blue and aqua accessories perfectly. If you’re interested in learning how to make those dip dyed napkins, check out my DIY dip dyed napkins tutorial right here. And take a look at the entire beachy tablescape design right here. Thanks! 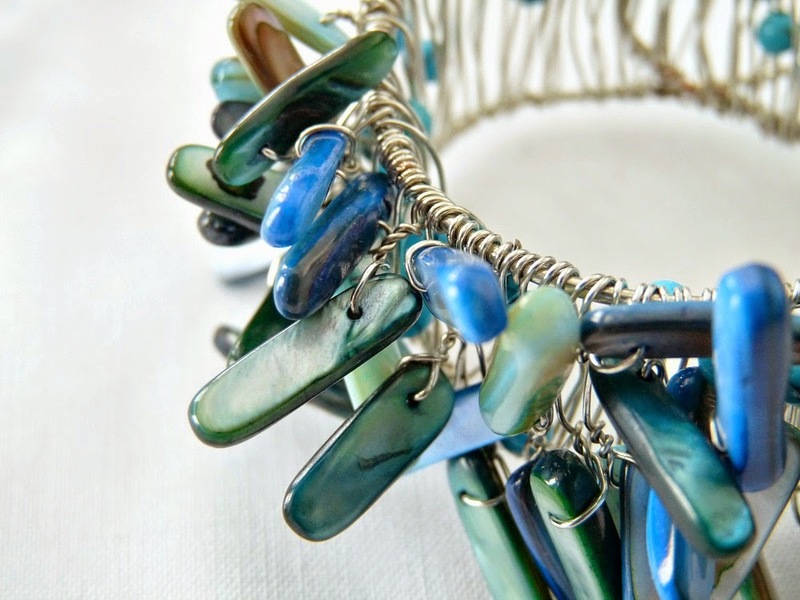 I was so happy to find the perfect beads – they really created the sea-side feel I wanted. Fun! 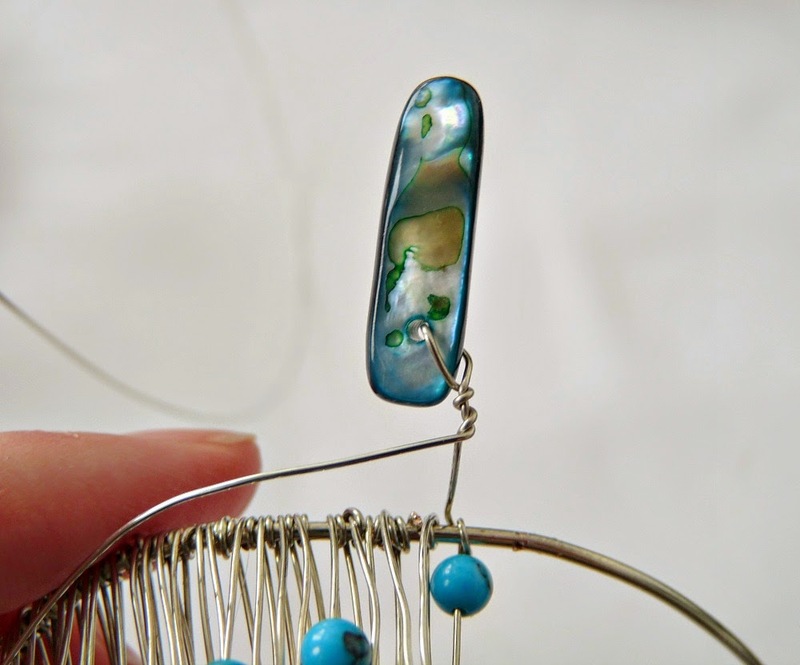 While I was in the brainstorming phase, I spotted a pair of earrings at anthro with a similar wire wrapping method but different beads. I might try to make those next! It's addictive! They are gorgeous and yes I agree you can turn them into bracelets too!AriadnefromGreece! Beautiful! 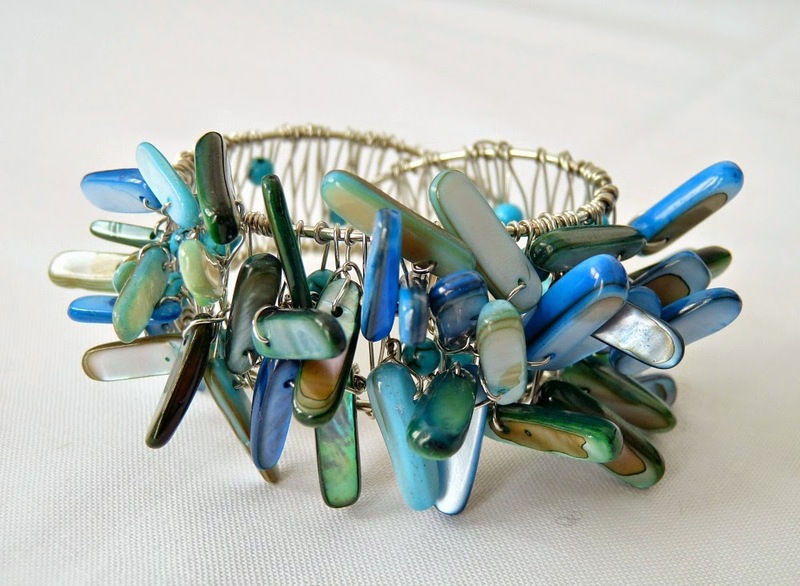 I love those shell beads- they do tie in the different blues you were working with. I did watch the video, and I think you did very well (it is hard to watch ourselves, though) but these detailed photos are really helpful. I would love to make one as a bracelet- and I love Vanessa's idea to use them as party favours- perfect for summer, if it ever comes. Your backyard oasis table setting was lovely. I have been enjoying this series and dreaming of warm sunny days when ice can only briefly survive, clinking inside a glass. 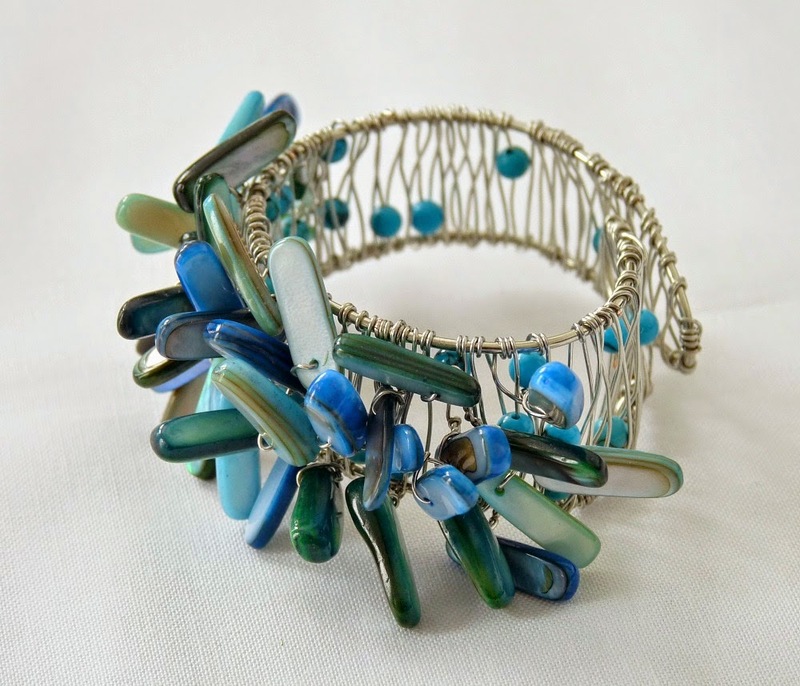 Even though this has aqua, the shell beads and the whole "beachy" vibe was a bit different for me – especially the cobalt blue! I inched out of my comfort zone a tiny bit, lol. A teeny, tiny bit. I'm happy to hear you liked these, and the "oasis" as well. I definitely enjoyed embracing spring a bit early, and it's definitely made me pine for it that much more. Still ice and snow here, blech. I'm also dreaming of a time when ice can only briefly survive – I love how you phrased that. It's perfect! These are very cute, as napkin rings or a cuff bracelet. Nicely done. I love the colours you've chosen. Despite the fact that red seems to be my default colour; my first cell phone, washer and dryer and cars, I'm doing much more decorating in your colour pallet, thank you. Can't imagine a red bedroom! In so far as spring arriving I know people grumble when you mention Vancouver and how mild it is but really folks…the RAIN! At least in snow you can dress warmly and go outside but yuk, yuk for the rain. I'm sitting inside watching the rain and drinking. Also Tanya I love your Canadian Tire video, you really are very photogenic. You are too clever 🙂 I would even wear this as a bracelet! Nice, Very nice. great idea.